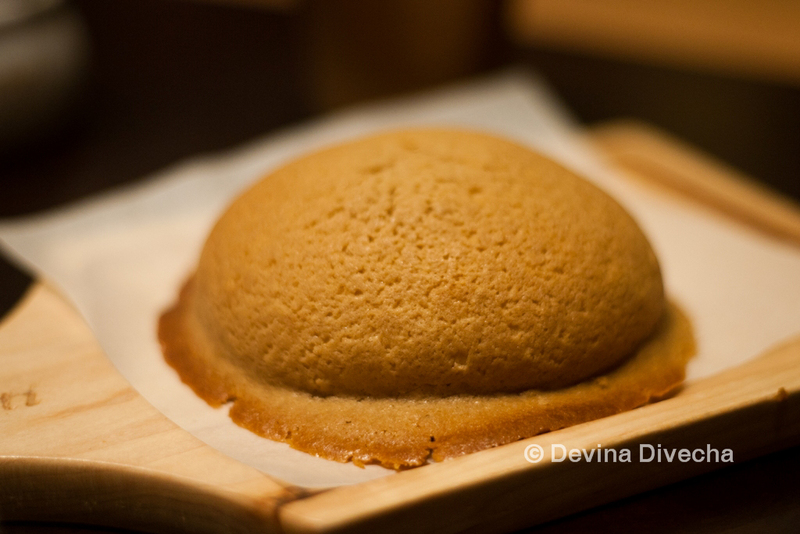 I had heard a lot about PappaRoti, and its soft and delicious buns. 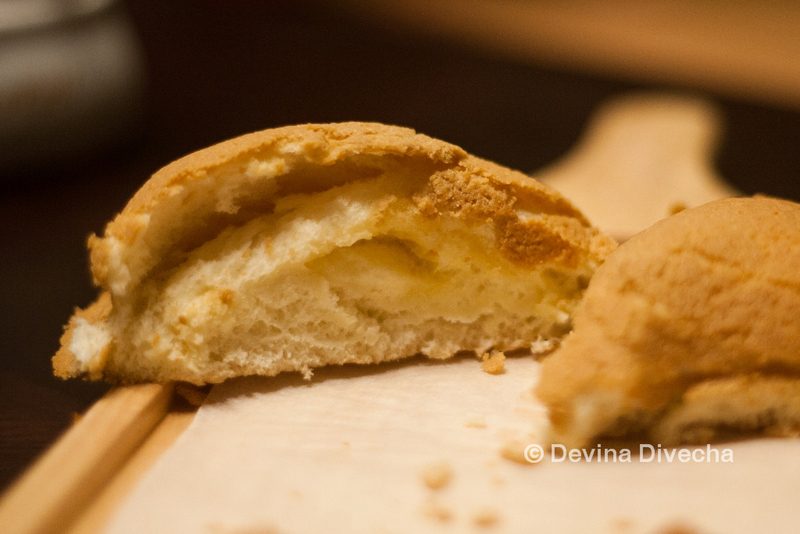 Yup, that’s the main item PappaRoti serves: bread. 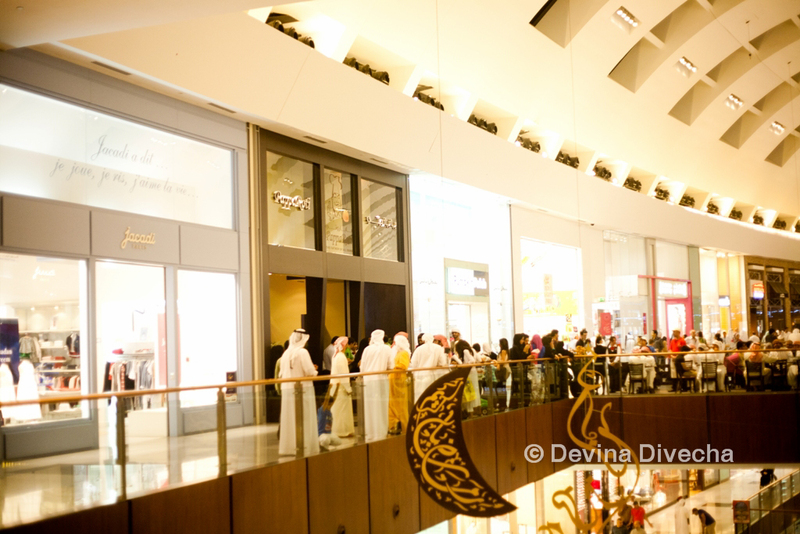 So one Ramadan night, @movie_mafia and I made our way to Dubai Mall, braved the splitting-to-the-seams parking lot and headed in. 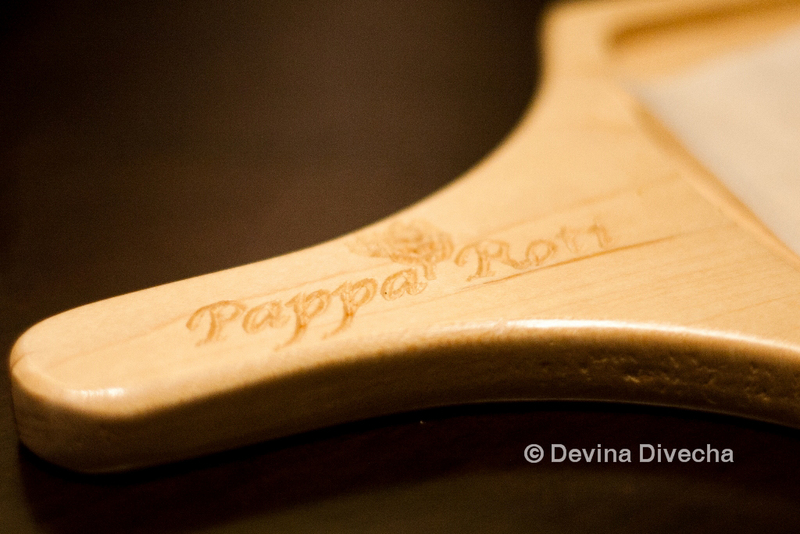 We had even heard wild stories about how busy it gets for a table at PappaRoti…and…then we saw it for ourselves. The stories were all true! 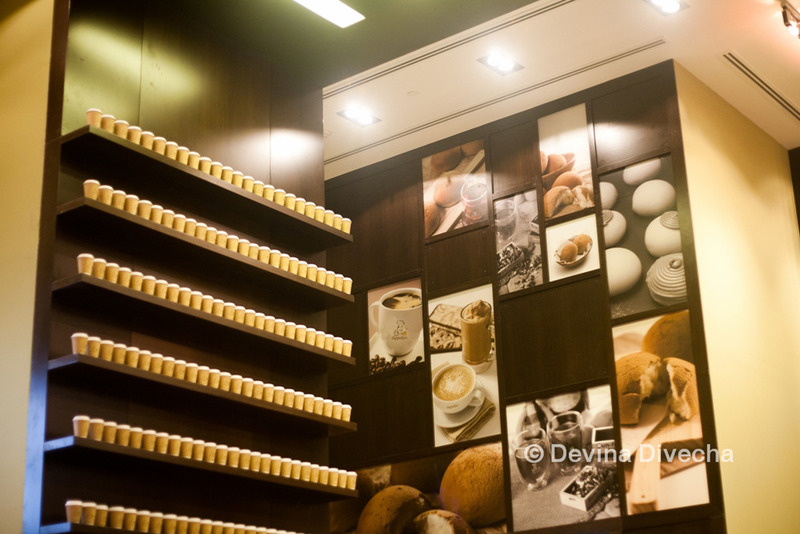 PappaRoti has two branches in Dubai Mall – one near the Cinema parking entrance near Marks & Spencers, and the other on the second floor near the waterfall with the silver diving men who have that pole in an unfortunate position. We went to the one on the second floor hoping it wouldn’t be as busy as the other, but alas! The crowd in front of the store was heaving. We gave our names for the waiting list both for outdoor seating and the indoor option. After waiting for about 20 minutes, a table inside opened up! We started off with ordering two buns: a regular one, and one drizzled with chocolate syrup. It was trial time. Would this bread live up to the expectations? As we dived in and chewed and munched, we understood the lines. It’s soft, is pretty good bread and there was an undefinable ingredient I couldn’t figure out that gave the bread a slightly sweet, but not overpoweringly so, taste. 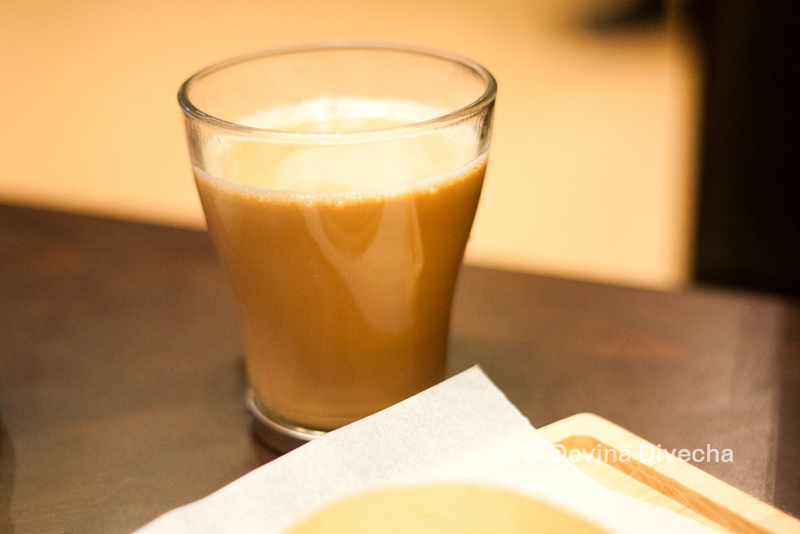 We had drinks with the meal: the Pappa Milk Tea for @movie_mafia and a Cappuccino for myself. 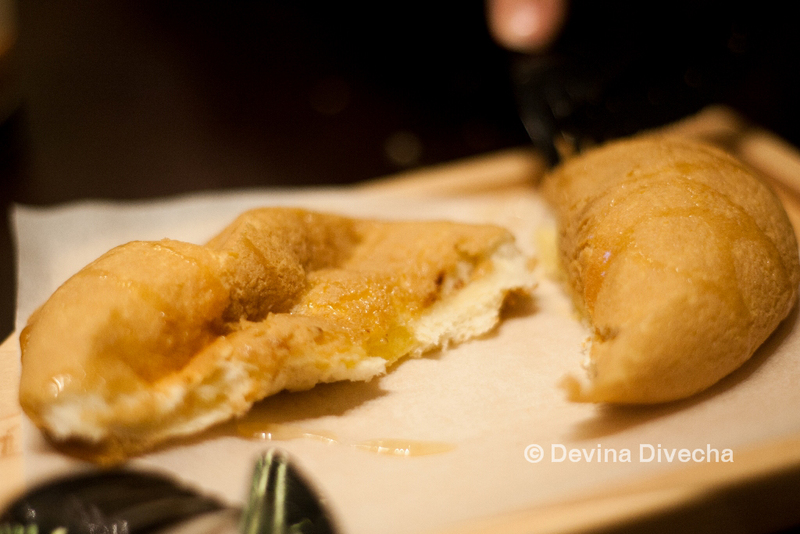 They were decent, but it was the bread we came for and the bread that wowed us. Since we enjoyed our first two buns quite a bit, we decided to order a third one – this time with a sticky drizzling of honey. 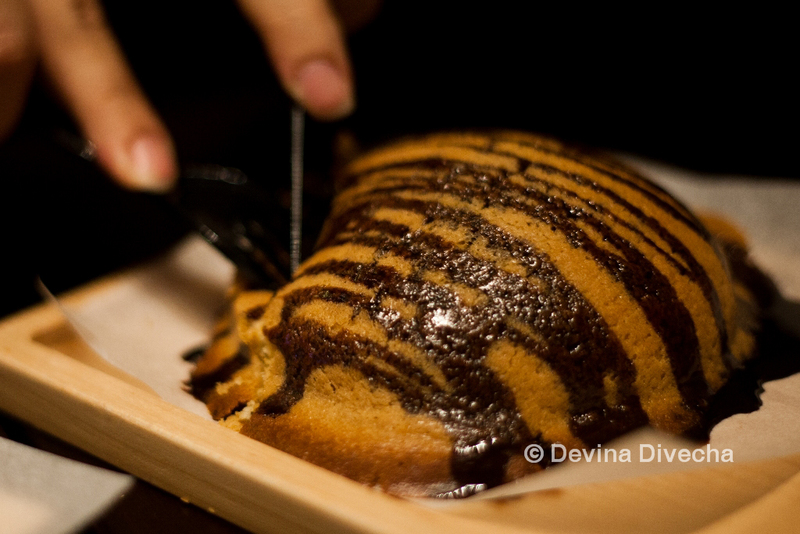 This one was absolutely heavenly as well, so much so that @movie_mafia ordered more to take home to her Mom. We left at 11.15pm. And look, there was still a crowd, waiting to get in. 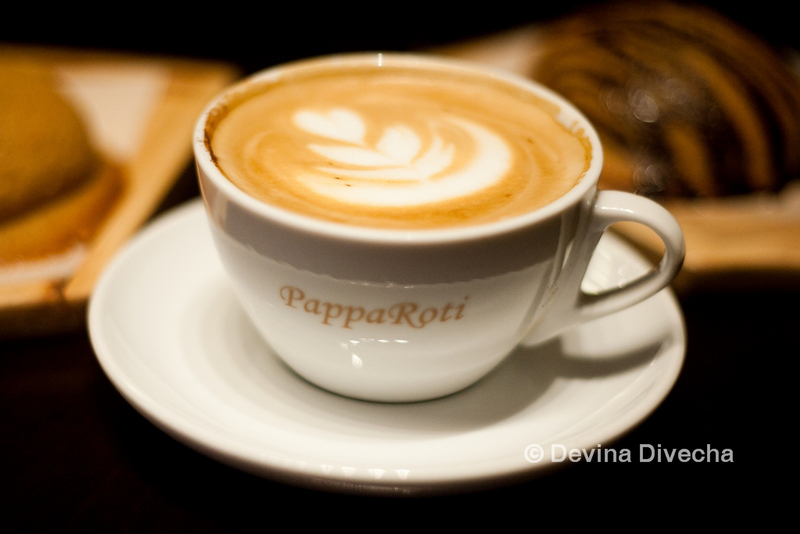 I would love a return to PappaRoti … when I want that comfortable, homey smell of hot bread, along with the complementary smells of tea and coffee. It’s comfort food at its most basic. So try it out if you haven’t already? 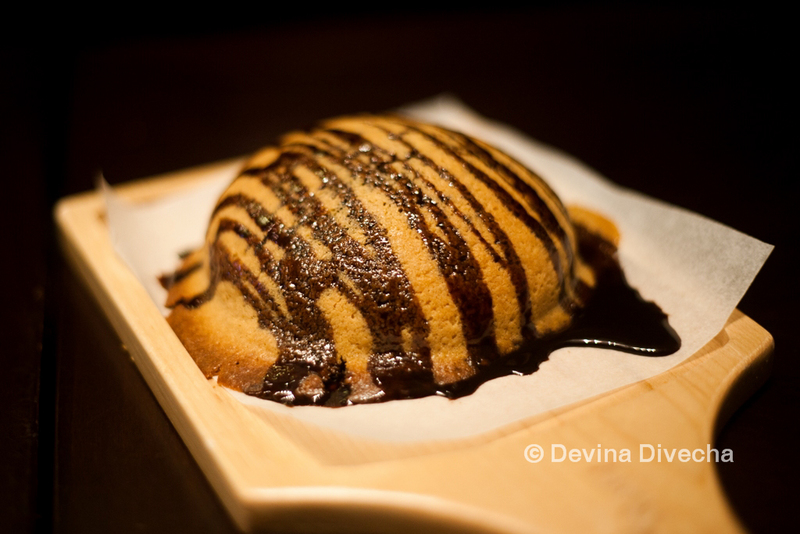 You can read more about PappaRoti on its official website. Ah I didn’t know that! 🙂 Yup, it all tastes pretty damn good! If You wait at the first level kiosk, you can see them pipe the caramel coffee cream (awesome just watching it! ) on to the buns before they are baked. 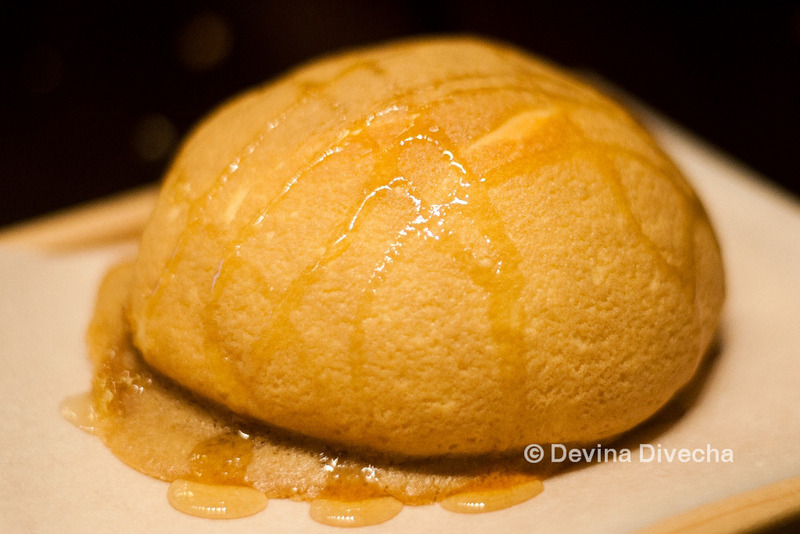 That’s what gives it the sweetness, I think the huge dollop of butter inside is also a BIG WIN!